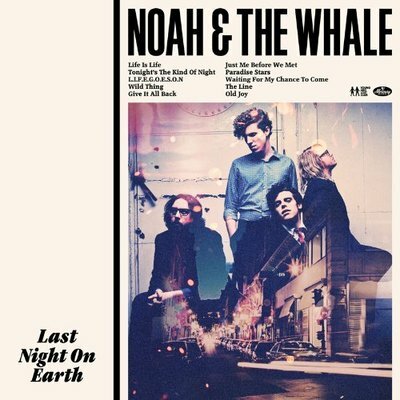 Noah and the Whale’s pervasive optimism was challenged with their last album The First Days of Spring. But, with the recently released Last Night on Earth, the band takes their album title seriously and performs an exciting ode to optimism. If it was my last night on Earth I’d party it up too. In some ways, the band fell into the trap of the sophomore album slump, but this third release reveals 11 tracks, some upbeat and catchy and some more low-key but still positive. Every release, creative in its own right. Adrian from music-news.com calls it, “a very uplifting, competent album from an act that will ride the wave of nu-folk and potential top it.” I like that title. Nu-folk. That is what bands like Noah and the Whale and Mumford and Sons play. Modern folk tinged with old inspiration and new Indie modernity. From nu-folk to surf pioneers. Dean, of the surf music pioneers Jan and Dean, is 71 today and we celebrate by looking back at the surf genre that they mastered. Surf music follows a similar construction. The songs have high-pitched simple chord structures and vocal harmonies. It is based off of the example that the Beach Boys set.